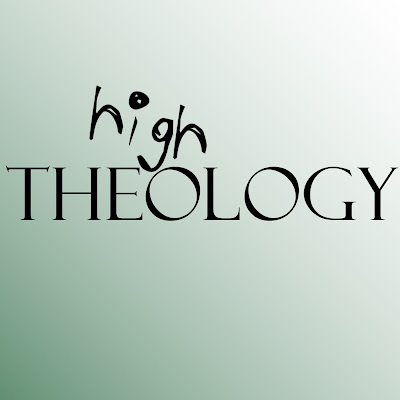 Coming soon (actually it's already here, but I wanted to do a soft launch to work out the kinks), my new podcast, High Theology: where I get high and talk about theology! One of the main goals for the podcast is to start breaking down some of the false dichotomies out there, like the idea that you can't enjoy recreational cannabis and be a theologian, or that cannabis isn't every bit as normal as coffee or beer in our daily self-medication routines. I hope you like it (and do all the subscribey-reviewey stuff that helps out podcast-type people). Oh, you're probably wanting a link or somesuch. Here it is now (grab a pen): eich tee tee pee ess (I just got to add the ess), colon, slash, slash, double-ew, double-ew, double-ew, dot, High Theology, dot, org.